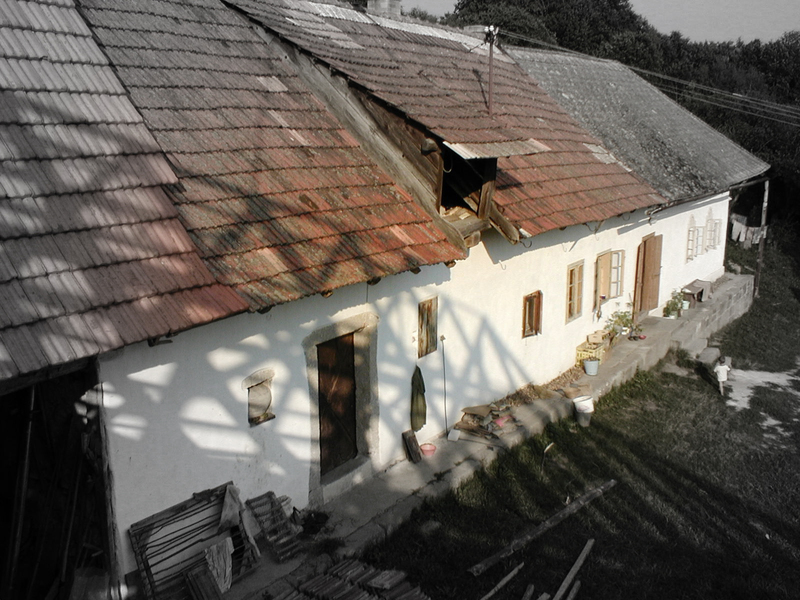 The former farm building in the part of Zaježová called Polomy has been serving as a base for educational activities since 1991. 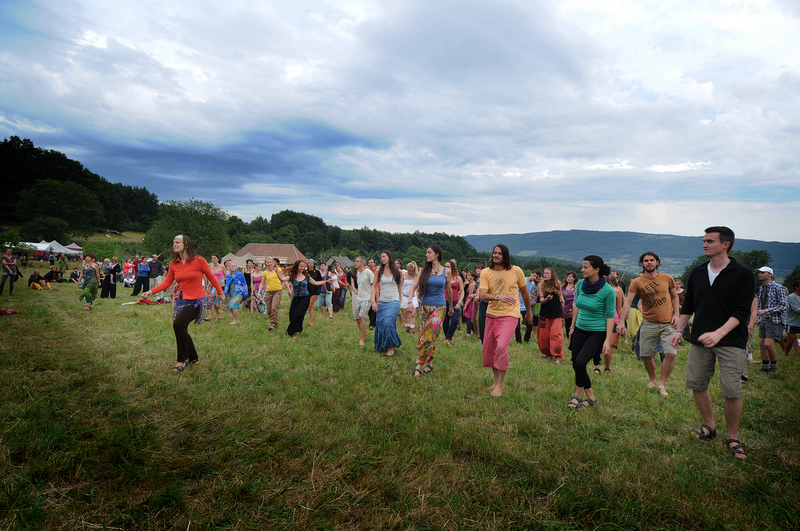 It is being rented by the local civic associations, as well as NGOs and individuals to host various events – seminars, environmental education for schools, dance workshops and retreats. New inhabitants of Zajezova valley and places in its close neighbourhood have brought new life into dying out small village. People join efforts to improve quality of life here, to prevent problems, which caused depolpulation in second half of 20th century. They organize common work on public projects (bus stop reparation, waste collection, tree planting, playground making etc. 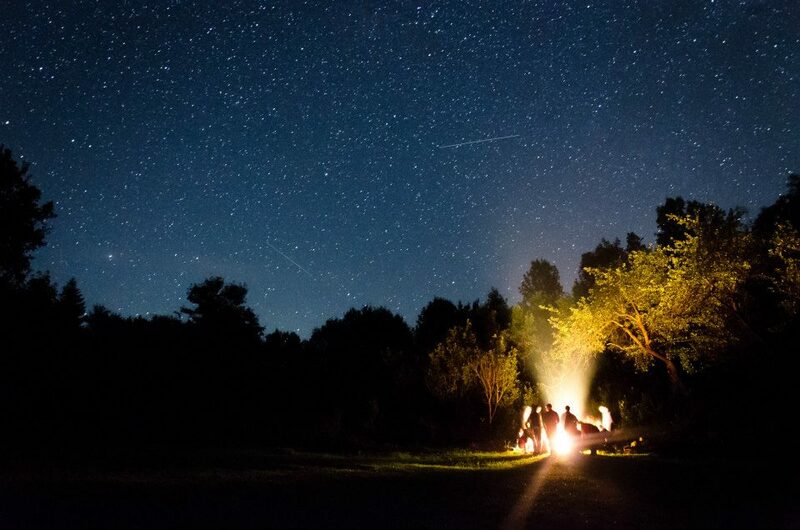 ), informal parties and bigger seasonal celebrations, common holidays and weekend trips of families, local activism (nature protection, waste issues,...) and so on. The original primary school of Zajezova was closed down in 1977. In 2007 a group of locals reopened the school as a one-class school for grades 1-4. 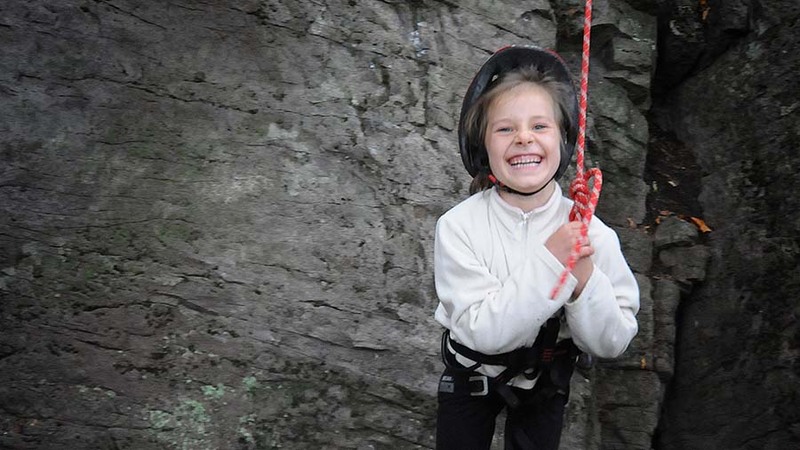 It is one of Slovakia’s smallest schools, counting 14 pupils in the school year 2014/2015. The small amount of pupils gives it a cozy family atmosphere but also a form of education that is adjusted to the needs of the individual pupils. This form of work however is very demanding on the teacher, therefore she has support from the pupils‘ parents when teaching several subjects, like English, PE, Informatics and arts. 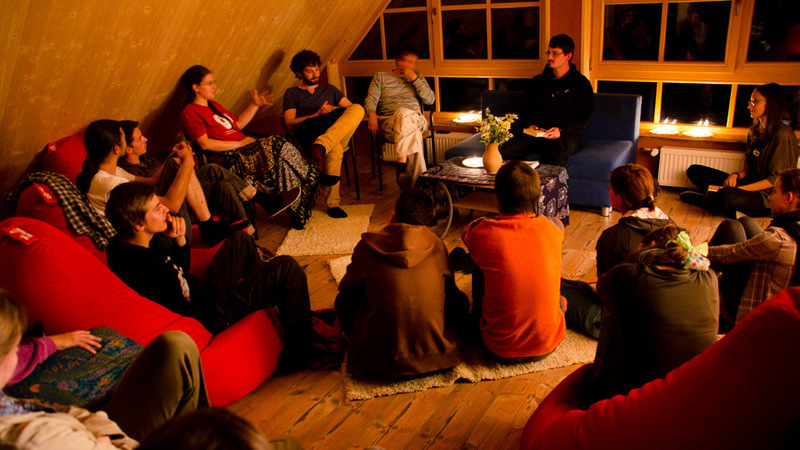 The Eco-community Sekier is a traditional farm house on a meadow above Zajezova, bought in 1994 by the NGO Community for Life in Harmony (PHŽ). 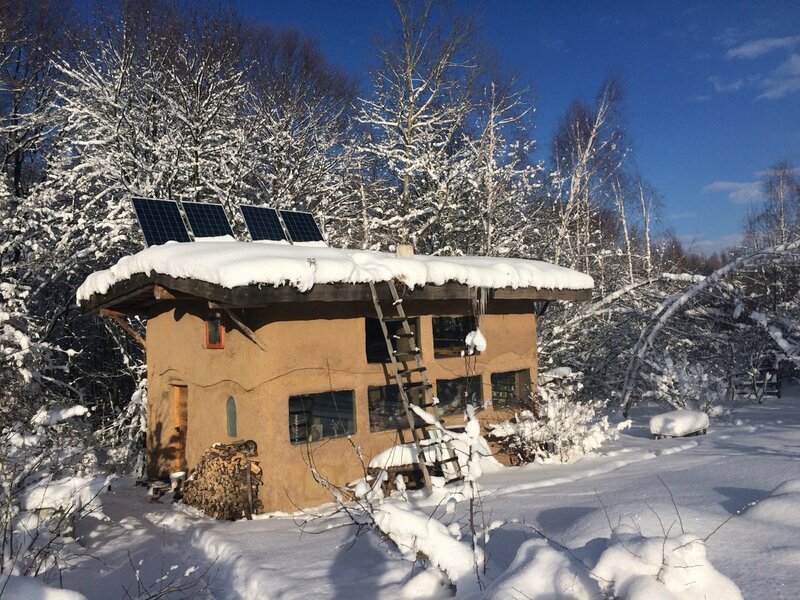 It is looking for an alternative to a meaningless consumerist lifestyle, inspired by the modest and self-sufficient life of our ancestors, but also by modern trends like permaculture, natural building and the eco-village movement. 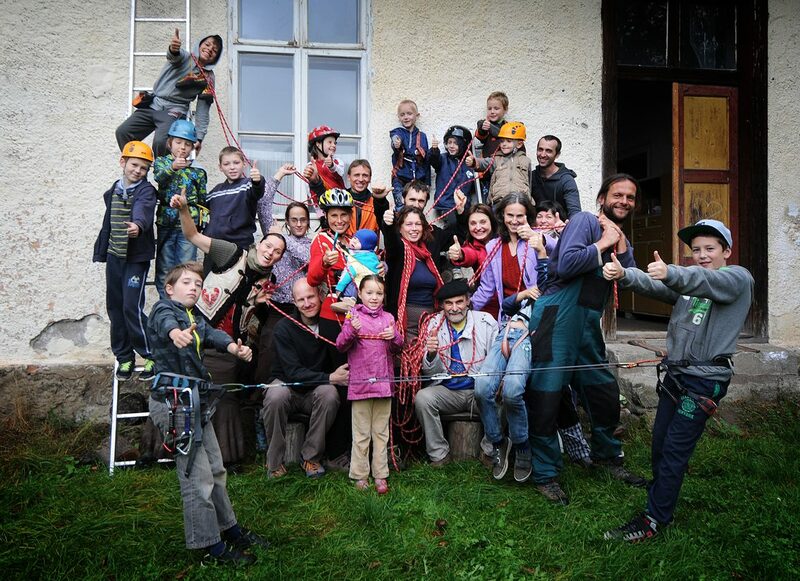 A group of Zaježová inhabitants who actively climb recently started a climbing club. 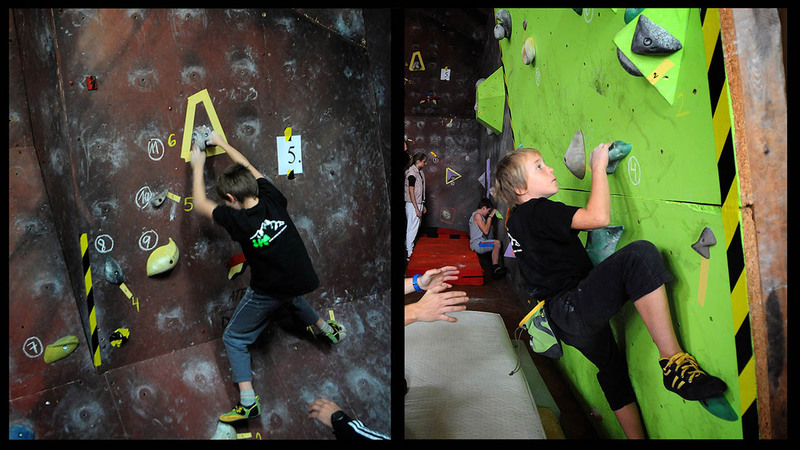 They train with local kids, some of them even participate in climbing competitions. 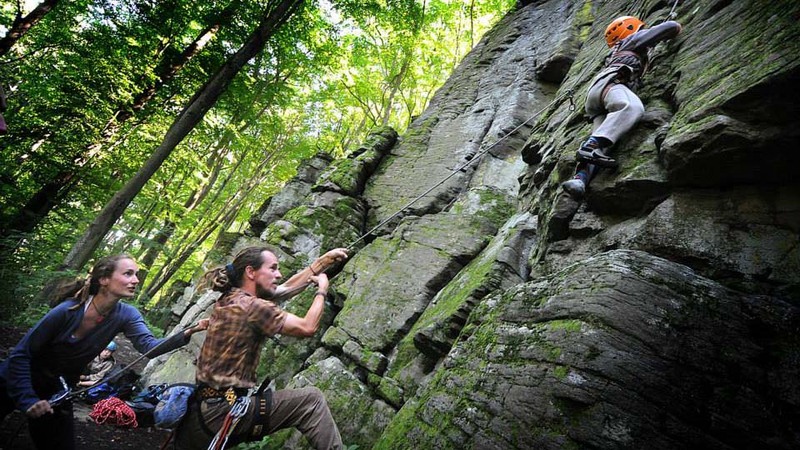 They plan to build a climbing wall in a community centre so they limit travelling to city (60km away). It should be space for training and it should be used also by local school for physical education (the school is very small so it does not have a gym). The people have already invested money and time into this project, but they still miss resources. So they started to collect money to support this idea. Active people from Zajezova (especially Igor Chyra) had been managing a project of the collection of separated waste in Pliesovce and its surrounding villages for almost 15 years. When in 2009 the project ceased the question what to do with the waste in Zajezova remained. Thanks to the initiative of the local inhabitant Rado Planicka and the civic association Community for Life in Harmony Zajezova received support for the establishment of collection units for separated waste. The project was financially supported by the Tesco Foundation and the municipality of Pliesovce. 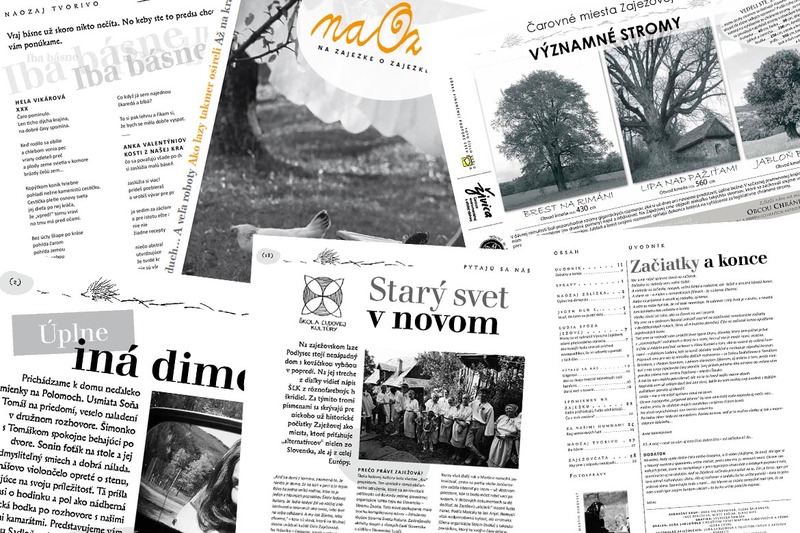 In the years 1991-1995 the civic assotiation Natura was running a project called School of folk culture (SLK), which was situated in Zajezova-Podlysec. 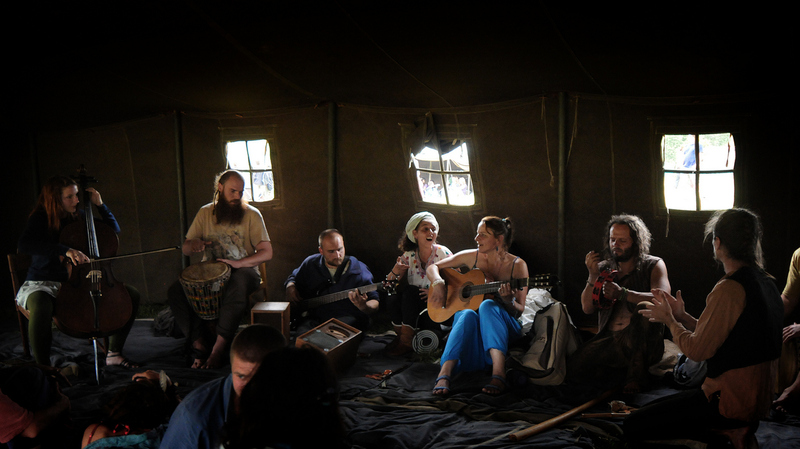 Its mission was to keep traditional folk culture alive, organizing weekend workshops and summer camps where experienced craftsmen and –women were passing on their skills to young people. 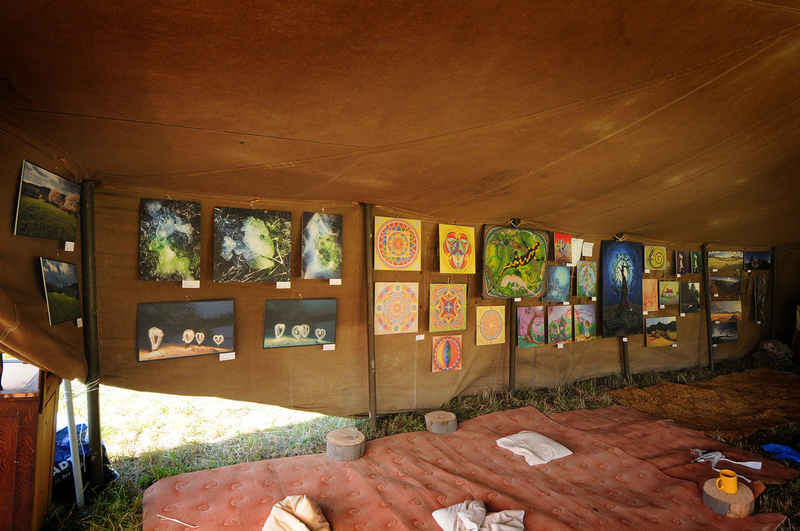 Their relaxed and friendly atmosphere made SLK’s events popular and attracted not only young people. 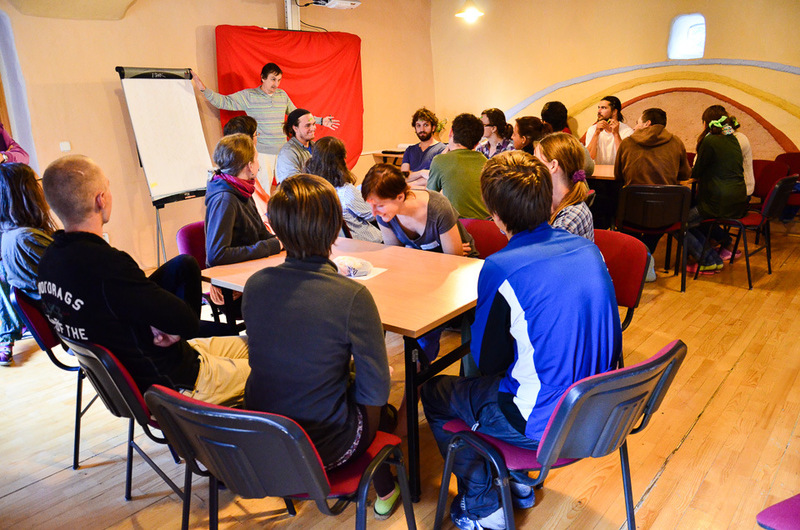 Since 2006 PHZ has been hosting volunteers from all over Europe within a EU programme called European Voluntary Service. For over 20 years, volunteers not only from Slovakia have been coming to Sekier to try out a life closer to nature, however prior to the involvement in the EU programme it had been difficult to provide a financial base to cover their living costs and to develop the Sekier farm. In 1990, the building of the former village council in Zajezova remained unused after the abolishment of the municipality of Zajezova and its filing under the municipality of Pliešovce. For a certain time it was used as accommodation facility for people working at the recycling centre, however nowadays it has turned into a space for local communal activities. Pastiereň is a small traditional log cabin which in 1998-1999 was reconstructed by the local civic association PHZ. Within this reconstruction the cabin was moved from its original location in the neigboring village Vígľašská Huta-Kalinka to the Sekier meadow above Zajezova. The work was done the traditional way without using any power tools, keeping the original and traditionally used materials. 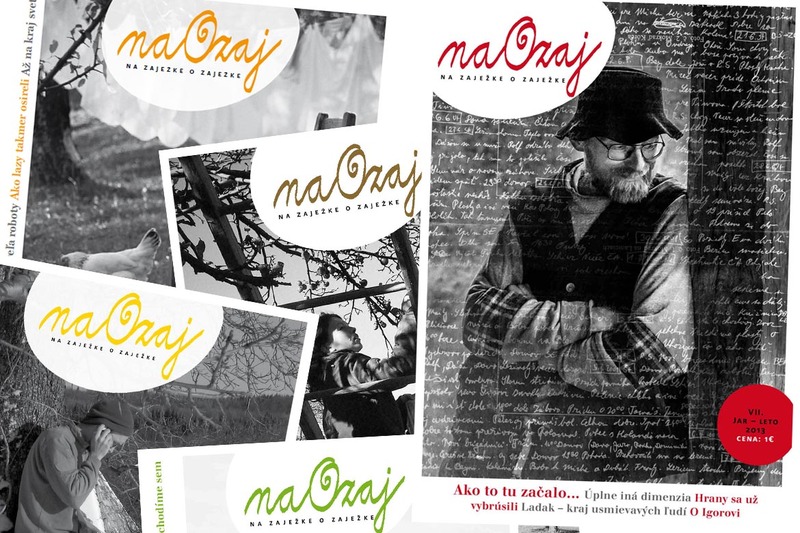 The magazine NAOZAJ was initiated by a handful of people who try to present the life in Zajezova with words of the locals. It gives space for interviews with both newcomers and original inhabitants, reports, news, poetry and novels. The magazine’s content is created by volunteers, the profit from its retail are used entirely for costs connected with the layout and print. The magazine was issued twice a year and its editor-in-chief is Anka Valentyniova. 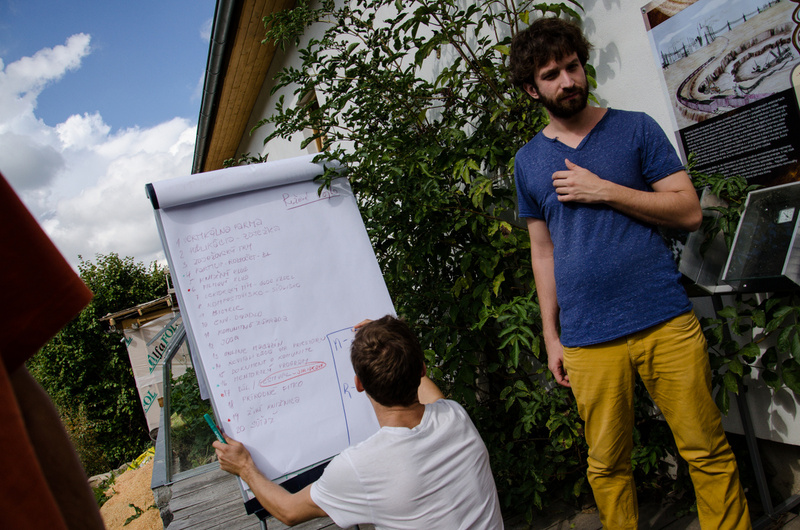 After a two years‘ break we now prepare to publish new issues in colaboration with this website. The recycling centre was established in 1994 as a project of the Community for Life in Harmony under the leadership of Igor Chyra. In 2003 it became independent and was from then being managed by Igor Chyra within the newly founded civic association Jezko. The recycling center’s mission was not only to „save“ as many comodities and resources from being dumped on a land fill, but also the cleanup of the landscape from illegal land fills. The Socrates Institute came into being with the aim to create conditions for the development of young people who are not afraid to work on themselves, be responsible for their decisions and follow their visions. The project’s initiators believe that society may get significantly influenced by a single person, given that he or she has enough knowledge, courage, diligence and charisma. 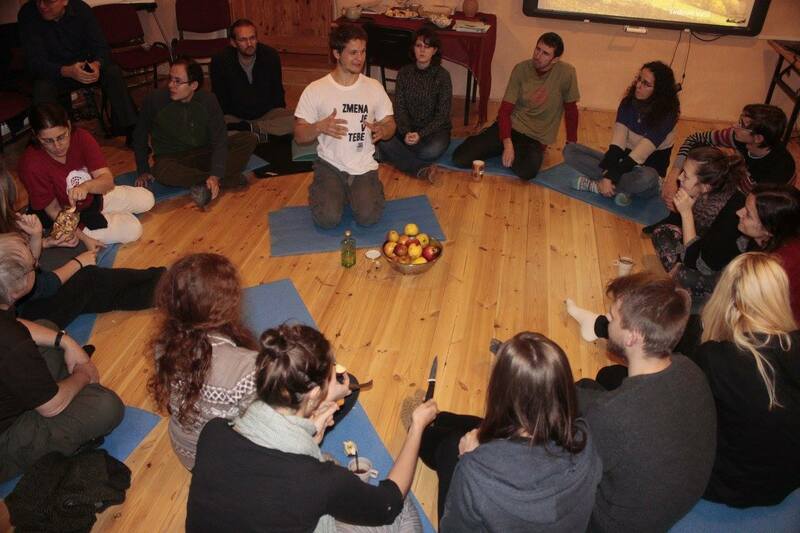 The focus group are university students from Slovakia. It is open to students from any field, adressing future scientists, lawyers, economists, medicians, journalists and artists. 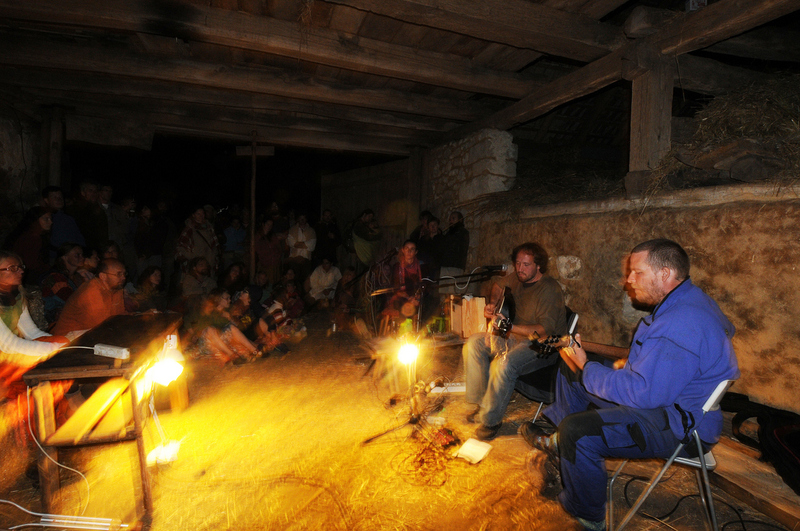 Asia, South America, Cuba, films from the „one world festival“, screenings and discussions with the makers of the films „Vlčie hory“ (The Wolf Mountains) and „Slameny dom“ (The Strawbale House), clown performances, archery, horse riding, exhibitions of paintings and photographs and so on. The offer of accomodation and activities for people who want to visit Zajezova beside the organized events has been continuosly expanding. The creation of this website is the first step towards a cooperation of locals who offer services for tourists. In the next step we plan to connect their services and provide a better advertisement (not only via the internet), as well as other means of cooperation and mutual help. In 2006 locals and participants of a camp organized by the Community for Life in Harmony repaired three of Zajezova’s bus stops – one was built new from wood, the others were painted. Volunteers from Sekier and parents of future pupils of the Zajezova school also built a children playground in front of the school. During another „brigada“, ornamental trees and shrubs were planted in the centre of Zajezova. In 2012 the local inhabitant Lenka Andova initiated another project in which a sign post on Zajezova’s crossroad was installed. Zaježová’s consists of wide-spread settlements, small hamlets, situated at about 650-860 m above sea level. It is mainly sheep and cattle raised here, however, on smaller strips of less sloped land basic agricultural crops such as grains, potatos and corn can be grown. Nowadays the landscape feels somewhat more deserted than in the past when the were 600 people living here and every single piece of land was in use. The fields are turning into meadows, the meadows are gradually overgrown by forest. 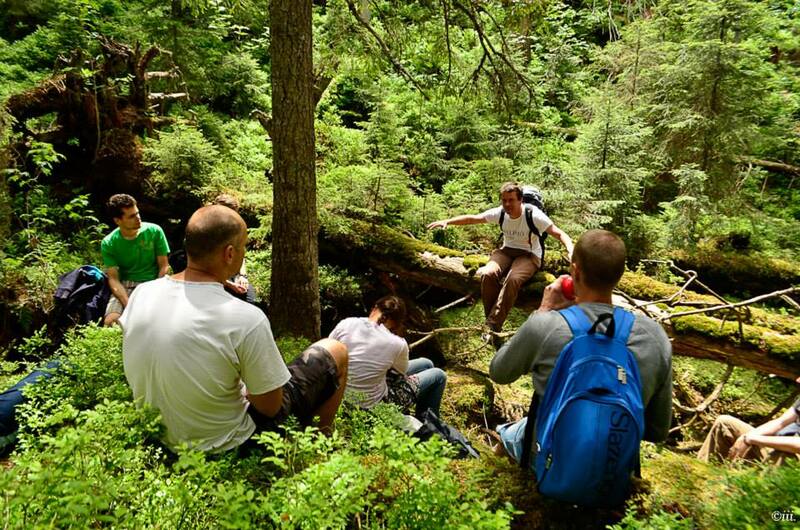 There are several enthusiasts in Zajezova who are trying and record memories of Zajezova’s original inhabitants and preserve them for future generations. Together with the local children they visited several elderly people. Their testimonies were recorded and processed into a 40minutes long film by professional film makers who also live in Zajezova. Apart from that, several short videos were created. Some of the interviews were published in the local newspaper NAOZAJ and are as well published on this website. 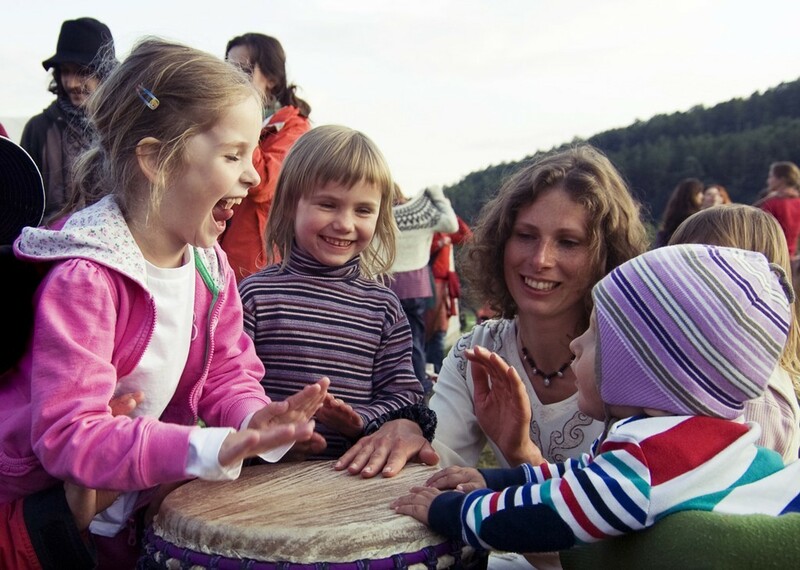 The forest kindergarden was established in 2011 as the first of its kind in Slovakia. It came into being thanks to the tradition of regular and non-regular activities for pre-school children which are part of the local social life since the number of youngest inhabitants started to grow. Many people think of Zajezova also in connection with experiments within the field of natural building. Here you’ll find buildings that have been amongst the first in Slovakia to use strawbale insulation. There are several small buildings, parts of buildings, but also modern family houses meeting all standards. Apart from that you’ll also find buildings using hemp or wood fibers as insulation, as well as recykled paper and other ecological materials. 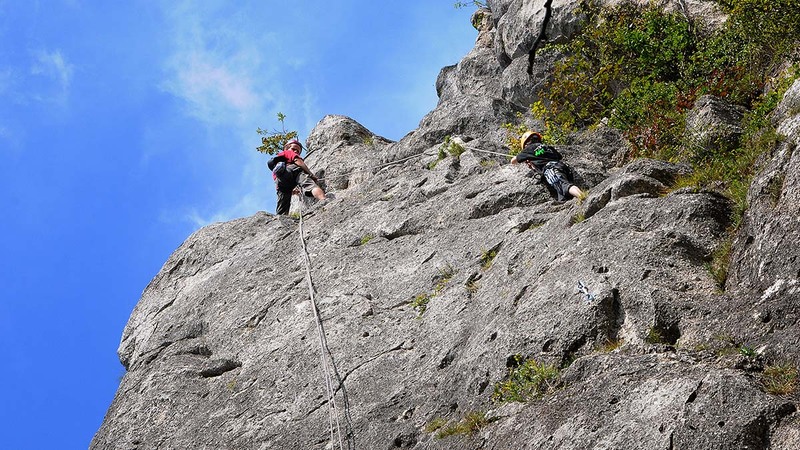 Brana (The Gate) is a natural area of about 5 ha located on one of the Javorie mountains ridges, 900 m above sea level. A tiny community of its inhabitants practices conscious living, co-creativity and cares about its relations to all life forms. Together we focus on energetic healing, rituals and ceremonies, natural building and permacultural gardening, arts, crafts and art therapies. Our goal is to be open to learn about Life on Earth as such.